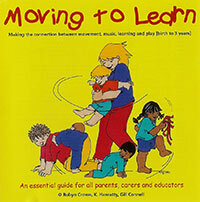 This exciting book is cleverly illustrated to enhance the actions and activities shown throughout the book. 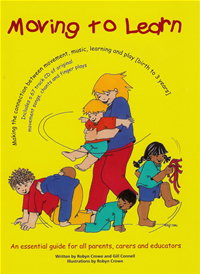 Areas covered include body awareness, tummy time, rolling, rocking, spinning, swaying, swinging, crawling, jumping, fine motor and massage activities, language, counting and eye tracking activities, musical instrument activities, daily routine and environmental activities, relaxation and lullabies as well as self esteem ideas for the young child. 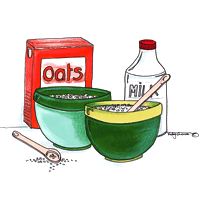 All this can be shared with your child for little or no cost within your home, care or education environment. 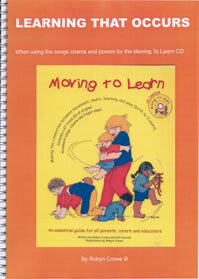 A comment from a young parent... "I was always wondering what to do next...now I know...It wont cost me anything to help my child to learn and have fun and we can do it together"
22 MP3's from the Creative Capers 4 CD... all digitized and ready for you to add to your MP3 player! 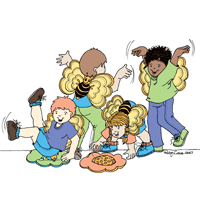 Sometimes as an educator we are looking for specific songs and movement activities to enhances a learning concepts or theme. 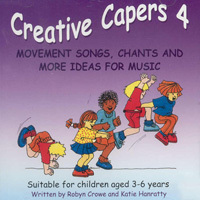 Creative Capers 4 contains original songs, music and chants that cover concepts and themes including "The Weather", "Floating, Bubbles & Balloons", "Insects, Bees & Flowers" & "The Jungle, Elephants". DOWNLOAD YOUR SONGS AS SOON AS YOU ORDER!